Experienced members of fleets whose Starbases are already max level can join ours to share their experience and unused components with a grateful, fledgling fleet! 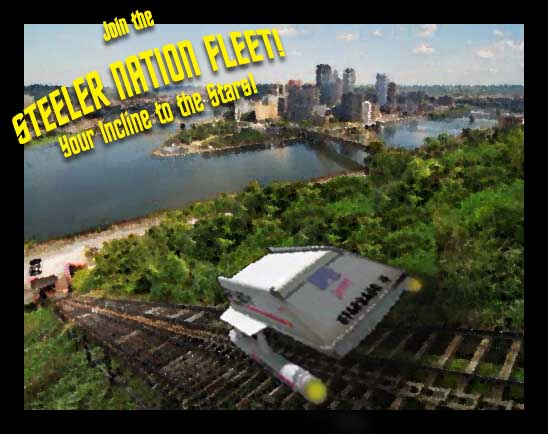 Steeler Nation is an equal-opportunity, low-maintenance fleet. We are currently seeking active(-ish) members to help with starbase construction, events and general saving of the galaxy! Current Starbase is level 40 and climbing! Free Honor! Free stat and proficiency bonuses! Bonus replicator uses! The more who join, the greater the rewards! 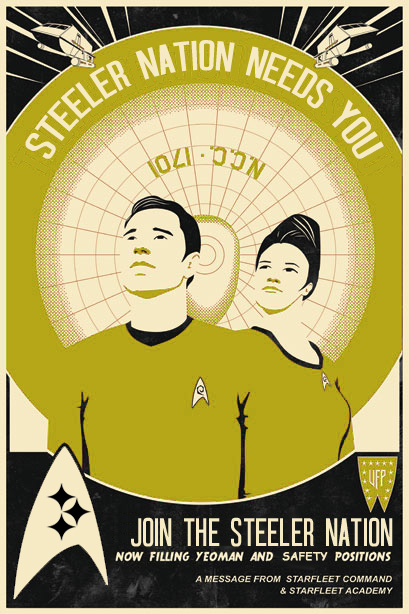 Steeler Nation was originally formed as a fleet for fans of the North American football team, the Steelers, citizens of the ancient Earth colony of Pittsburgh and anyone who simply enjoys replicating french fries on their sandwiches, pierogies or a good smiley cookie. But now it is open enrollment to everyone! Even Ravens fans... maybe. 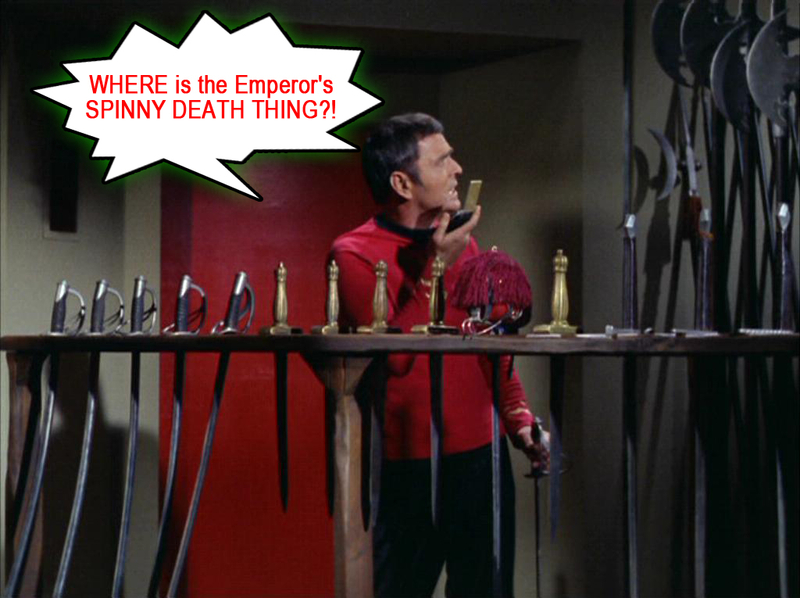 Fleet members who are not active for more than 6 months may be removed to make room for new membership at the Admiral's discretion, but we understand real life sets in. We're never going to ask you to install a separate chat app, download spreadsheets, etc... this isn't your job! Starbase level up! Space pierogies for everyone! Come join the movement! We are in dire need of new membership! Come help build the fleet! Starbase is now level 10! Double digits! Great bird of the galaxy! 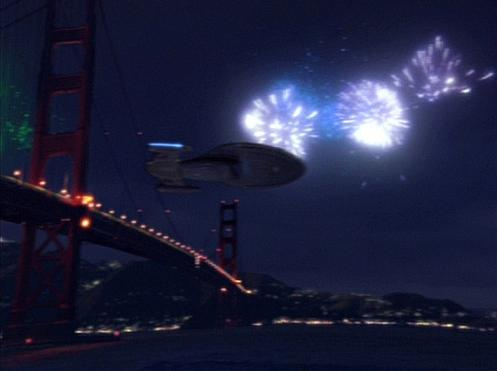 Come join the celebration (and the fleet)! 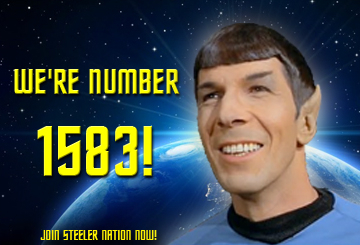 Start the New Year right by joining Steeler Nation! Construction is finished on our lovely, new Promenade! Come gaze at the stars, or one of our carefully curated holographic planetsides! +1% Skill Proficiency Max for Diplomacy! Tour our newly upgraded Armory! Now with melee weapons, for all your Terran Empire needs! +2% Core Security Skill! Snikt! Congratulations, Fleet! Ranked 1875th in the Laws of Nature event, up from 2183rd! That's a 14.11% improvement! Sure, you could try to join a top-ranked fleet, but what has starting at the top ever gotten anyone? Paper billionaires and impeached presidents. No, better to start near the bottom and work your way up! Congratulations to our sister fleet, Eagles Nation, for their defeat of the evil Brady-BORG at Minn L-II! 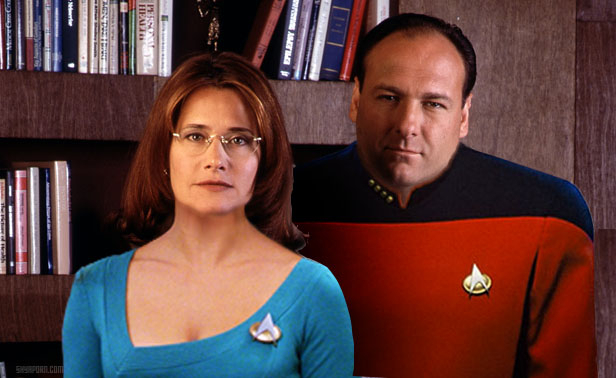 You've saved us all from their monotonous assimilation! Come see our newly upgraded Astrometrics lab! Chart strange new worlds! And perfect for emotional breakdowns! +2% Core Science Skill! Belated congratulations to the Fleet for placing 1638th in the Honor of Andoria event, up from 1875th! That's a 12.64% improvement! Construction is complete on the new Deflector Array! Our starbase now has more deflection than a White House press secretary! +1% Skill Proficiency Max on Security! 1638th to 1583rd! Come join our steady, inexorable climb to the middle! 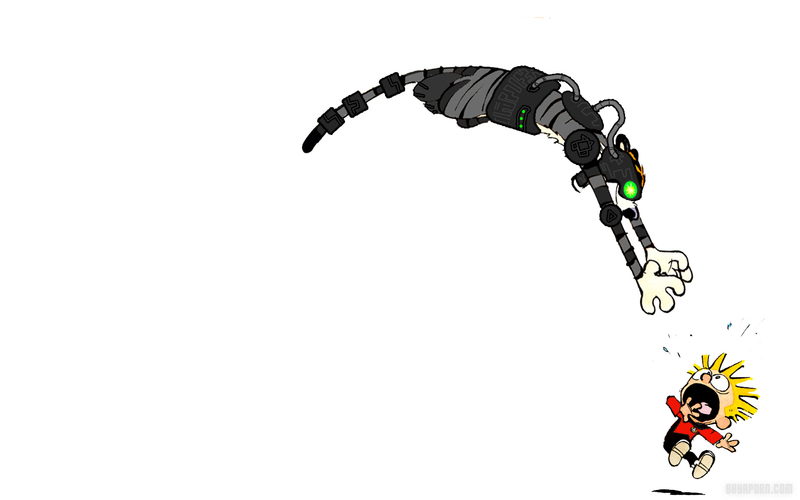 We've recently completed construction on our new Industrial Replicators! Make all the Earl Grey and colored food cubes your heart desires! +1 Replicator uses per day! We've completed installation of our brand new Computer Core! What could go wrong? +1% Engineering Skill Proficiency Max! "And when I have understanding of computers, I shall be the Supreme Being!" 1583rd to 1355th?! That's a 14.41% improvement! 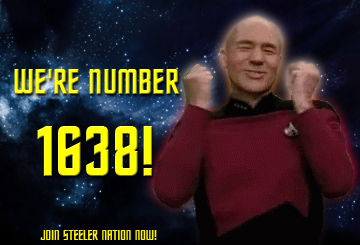 Congratulations, Steeler Nation! * Father of Logic event. Emotion chip getting you down? Join Steeler Nation today and visit our new Counselor's Office! 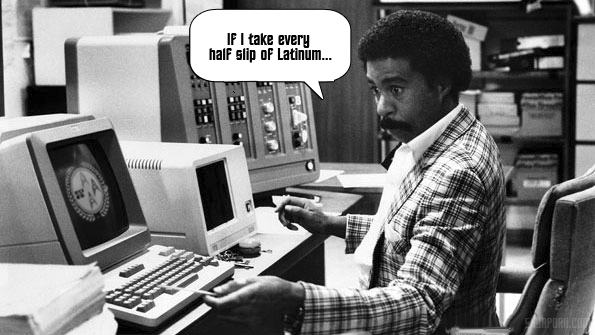 Only 5 strips of latinum! +1 +2 Medical Skill Proficiency. 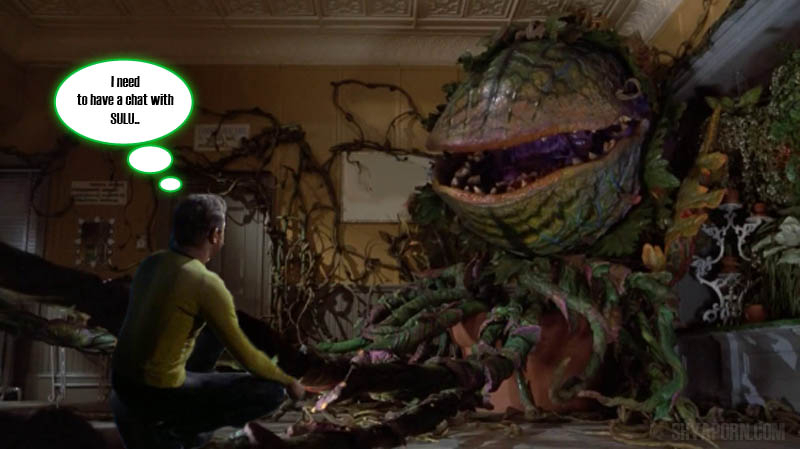 It's a dangerous galaxy... you never know what's lurking around the corner! 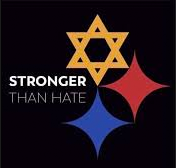 Let STEELER NATION have your back! Join today! Come into our secret garden! Stroll through our beautiful, new Airponics Bay. 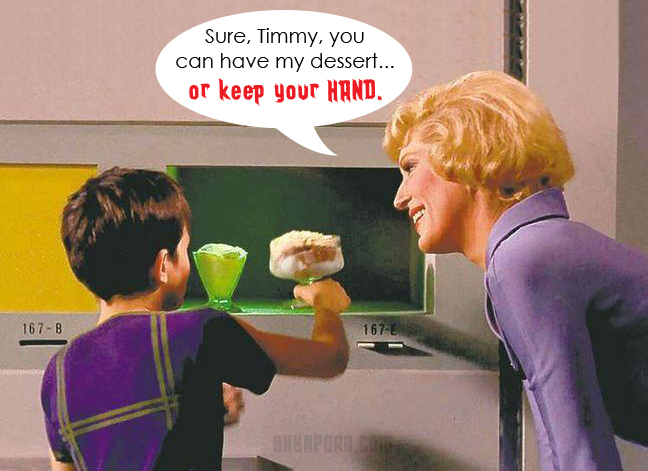 Mind your fingers. +1 to Science Skill Proficiency Max! Congratulations, Fleet! Starbase construction has reached LEVEL 20! 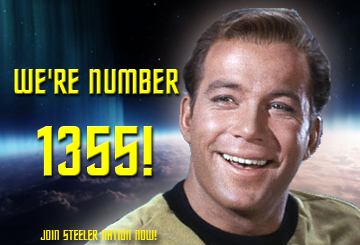 Keep up the good work, Steeler Nation! Visit our newly upgraded Main Engineering section - now, with DOUBLE the rolling Geordis! +2 to Core Engineering Skill! Come and observe our upgraded Observation Lounge! 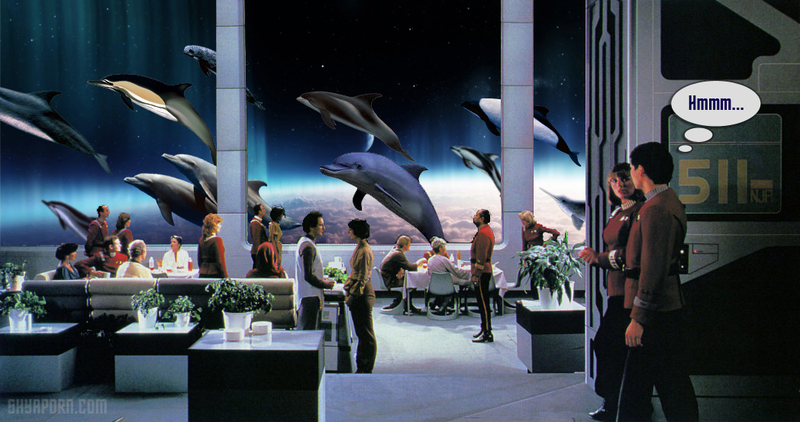 Gaze at the stars/Borg/dolphins/subspace anomalies to your heart's content! +2 to Diplomacy Core Skill! Come and enjoy fine dining and entertainment in our newly upgraded Mess Hall! 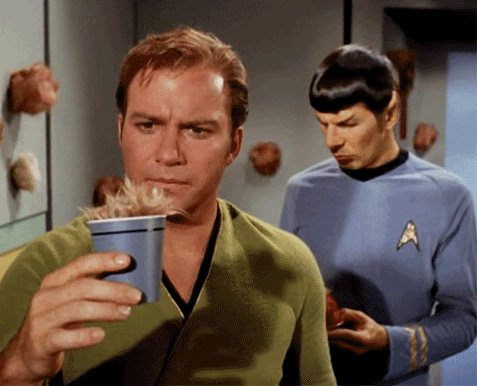 Get a free tribble with every 10th 5th single cup of coffee!! Replicator costs reduced -2%! 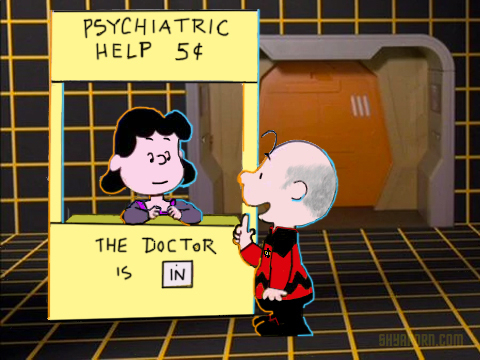 Our team of crack Starfleet engineers have upgraded our Computer Core! +2% Engineering Skill Proficiency Max! Command decisions can take a toll. Visit our fully-accredited staff in our newly upgraded Counselor's Offices! 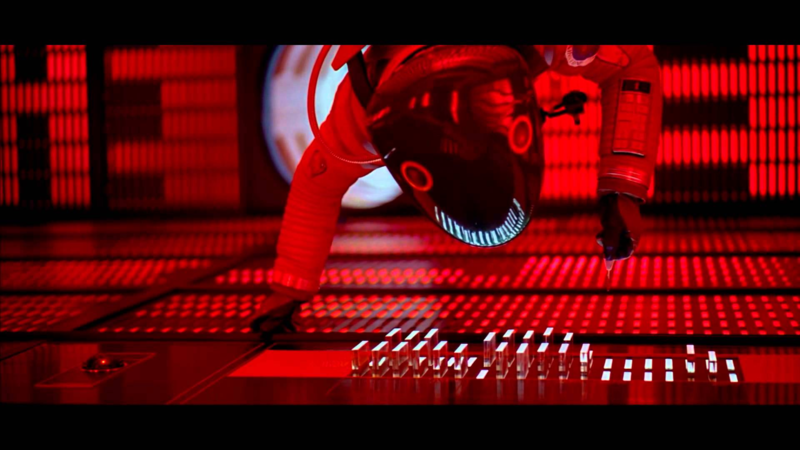 Explore the galaxy with a completely clear conscience! +2 Medical Skill Proficiency. This thread is pure gold! Tired of your old, slow computer system? 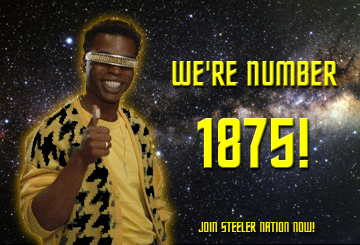 Join Steeler nation and enjoy our newly upgraded Computer Core! Warp speed fast, and guaranteed only to malfunction once per season! +3% Engineering Skill Proficiency Max! 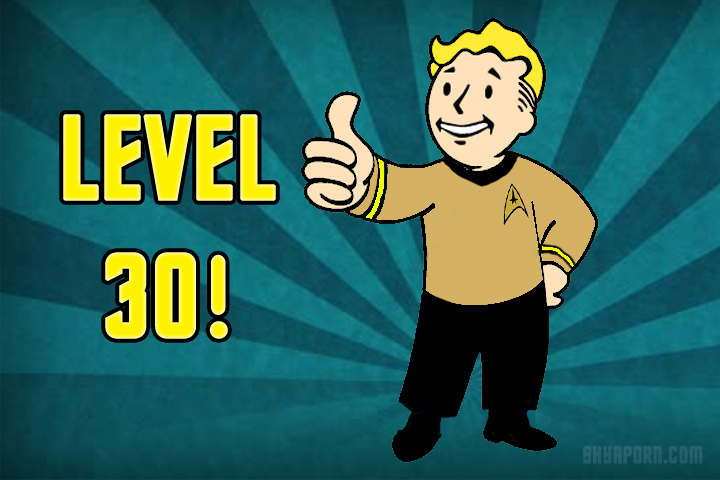 Congratulations, Steeler Nation, for reaching Starbase Level 30!!! A modest achievement by some standards, but for our modest means, mighty. "Someone needs helping, we help 'em; someone needs hurting, we hurt 'em."